The first of four Overlock commercial sewing machines has now found a home. 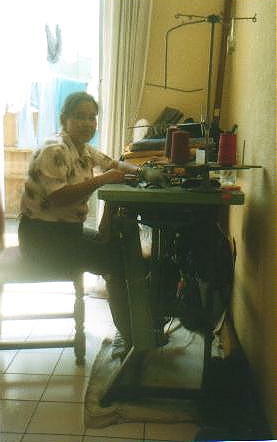 Shown below is Mrs. Dilovina Osorio from Guatemala City. The second of four is also operating with two more to be shortly put in place. 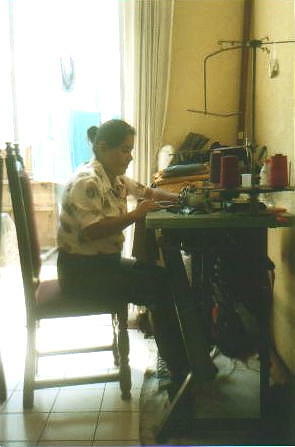 These sewing machines provide an income for each of the users. Thanks to our LifeNets supporters who were able to provide the funds for these project. Our 2003 Scholarship recipients from all over Guatemala!